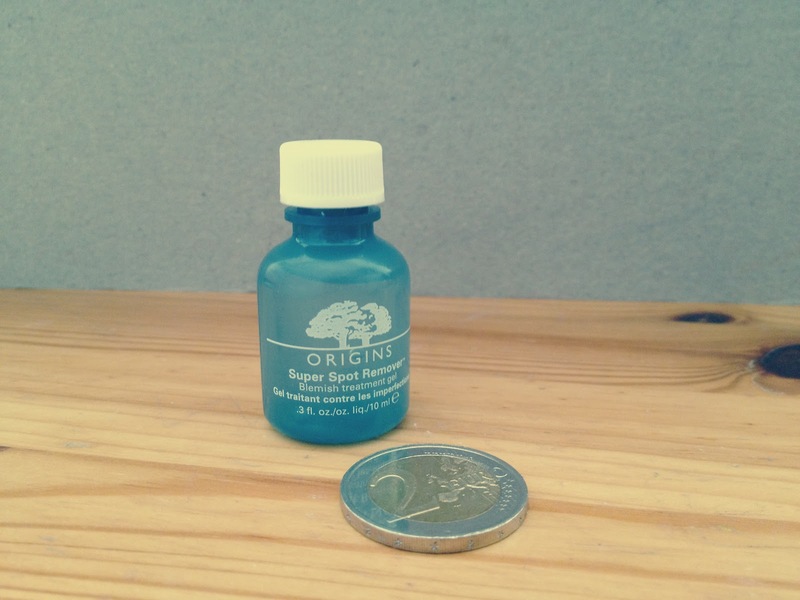 Origins Super Spot Remover – yay or nay? As you might have read in my collective haul post (here), I’ve bought the Origins Super Spot Remover. It is basically what the name already says a blemish treatment gel. Now I’ve used it for a while, and I’m ready to share my thoughts on the product. When I got this I was very excited to try it out. As a girl that had suffered from acne starting as a young girl, I’ve tried and tested a lot of spot removers. Did they all work? No, they didn’t. As this one is raved about online and offline (many awards in magazines), I felt that I had to try this. Sounds good ‘eh? Maybe even too good to be true. Well, I can’t say that it doesn’t work, because it actually does. Do I think it’s worth all the hype? Maybe. Did it remove blemishes faster than other spot removers? Relatively. Would I recommend you getting this? Well, I’m not quite sure about that. I know it sounds very confusing, so let me elaborate on that. I’m quite indecisive about this product, even though I’ve used it loads of times in the past month. I think this product works best for pimples that you feel coming up. Just dab it on the blemish and the next morning it’s either gone, or has shrunk that you can’t see it anymore. If you put it on blemishes that already are red or huge (not going into details) or have been on your face for a little while, I don’t think it does much for the skin. I did that and it seriously took 3 weeks before that blemish shrunk and disappeared, and now I’m not even exaggerating. What I do have to mention is that it doesn’t dry out the skin as much as other spot removers I’ve tried while “removing” the blemish. So that is definitely worth mentioning, as no one wants flakiness around a blemish to enhance it. I think this is a product that might give different results depending on your skin, and I highly recommend asking for a sample. Even if it’s just enough for a few days, just try it and see if it works for you. The product is not super expensive, I got it for €16 – I’ve tried more expensive ones. But when I saw the bottle, it was just so hilarious. I didn’t think it would be that small. 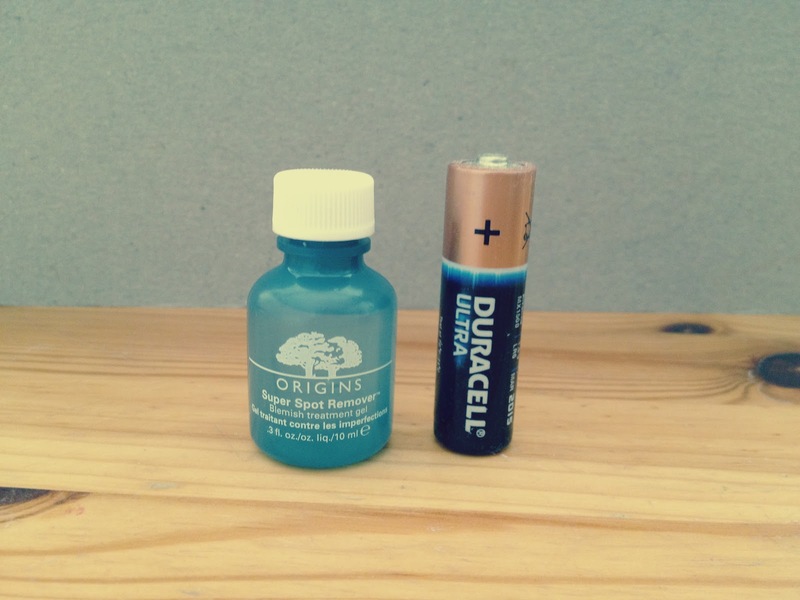 For reference I made a few pictures, comparing it with a 2 euro coin, a battery and an Essie nail polish. 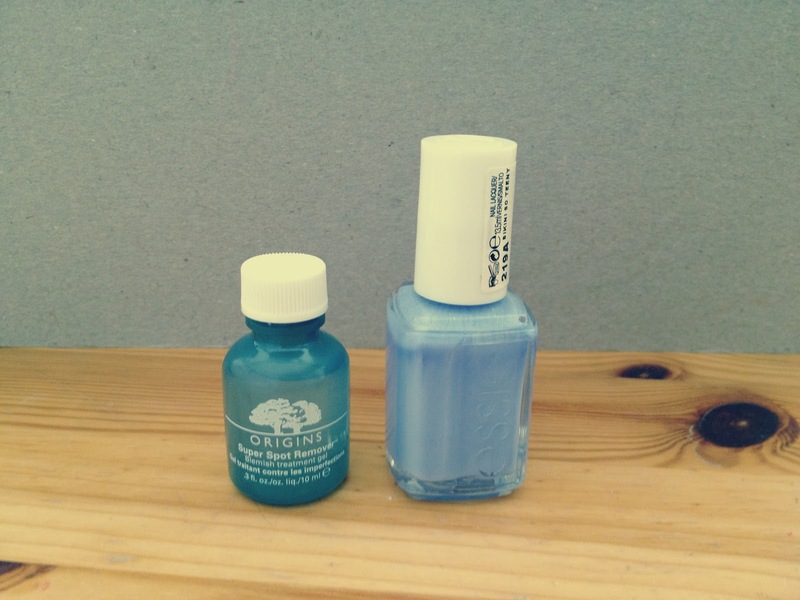 As you can see in the pictures, it’s waaay smaller than the Essie polish. A bit smaller than the battery and not as broad as a 2 euro coin (I think it’s as broad as a 1 euro coin, but didn’t have one – sorry!). Have you tried the Origins Super Spot Remover, and what are your thoughts on it?